Obituary for Margaret Carter Terrels | DellaVecchia, Reilly, Smith & Boyd Funeral Home, Inc.
Margaret Carter Terrels of West Chester. 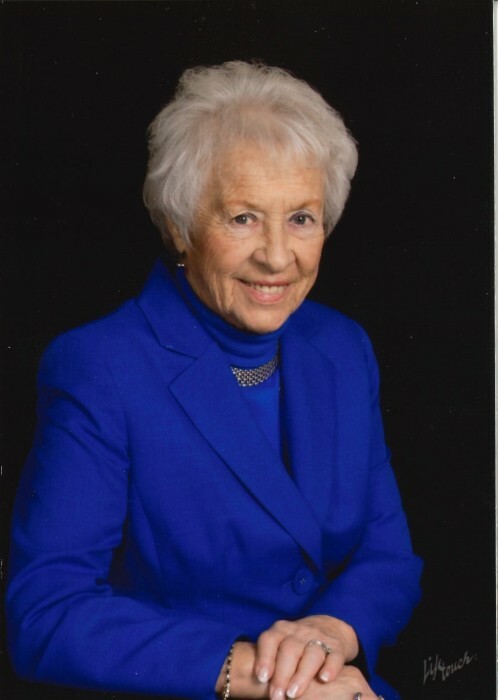 Margaret Carter Terrels, 90 of West Chester, PA, passed away Sunday, March 31, 2019 at Penn Medicine Hospice in West Chester. She was the wife of the late Joseph L. Terrels. Born February 22, 1929 in West Chester, PA, she was the daughter of the late J. Richard Carter and the late Marion Schrack Carter. Margaret was a graduate of West Chester High School Class of 1947. After High School, Margaret worked for DuPont Co. in Wilmington, DE. She was a homemaker, and an integral part of the family Auto Supply Business, J.L. Terrels & Son as a bookkeeper. Margaret was a member of SS. Peter & Paul Church in West Chester, an avid golfer and member of Hershey's Mill Golf Club in West Chester and enjoyed bowling. She also volunteered for the Chester County Hospital and Home of the Sparrow. Marti was known as a “Mother to everyone”. She had a bright and engaging personality bringing warmth and light to everyone who knew her. Her unyielding strength and love was felt by all. She is survived by her sons, Lawrence J. Terrels (Heidi) and Christopher J. Terrels (Carol Lyn); 7 grandchildren, Makelle, Ryan, Joshua, Christopher, Maggie, Kennedy and Andrew; and great grandson, James, and nieces and nephews. In addition to her parents and husband, she was preceded in death by her son, Andrew P. Terrels and siblings, Thelma, Richard and Robert. Relatives and Friends are invited to her Visitation from 9:30-10:30am on Thursday, April 4, 2019 at SS. Peter & Paul Church 1325 E. Boot Rd. West Chester, PA 19380; followed by her Funeral Mass at 10:30am. In lieu of flowers, donations may be sent to Shriners Hospital for Children, P.O. Box 1525, Ranson, WV 25438 and/or American Heart Assn. 1617 JFK Blvd. Suite 700, Philadelphia, PA 19103.